Good morning, this is Harp Academy, how can we be of service? 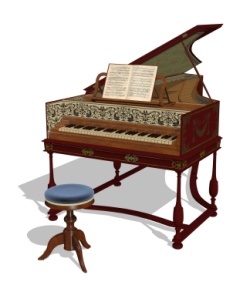 I’m sorry madam, no we don’t teach the harpsichord, a forerunner of the piano forte. Good afternoon, this is Harp Academy. No sir, I’m afraid we don’t teach the orchestral harp, or the Welsh harp, or the Irish harp, or the Aeolian harp, or any other kind of harp. So why are we called ‘Harp’ Academy? Because we teach the Richter tuned diatonic harmonica, otherwise known as a harmonica, blues harp, mouth harp and, many years ago, French harp. To us, the word harp is a handy street name for the free-reed musical instrument we carry in our pockets. It’s the forerunner of the iPod. And, with its magic, we focus our energies and expertise on educating children in the principals of music making. That’s how we got our name. And just for the record, we find the term mouth organ mildly insulting. You’d like a free taster session? No problem. For information, the harmonica was developed in Germany in the early part of the 19th century as an extension of the reed organs found in churches at the time. Its ancestors, such as the Sheng, had been in common use across the far East for centuries. In our Harp Q.I. 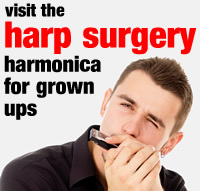 pages, you can investigate different types of harmonica. You can also check out some of the harmonica’s free-reed cousins in our harp relatives page.